Your metabolism is the chemical process in which your body converts the food you consume into energy. This is a vital process for all living beings. Exercise: This one is a bit of a no-brainer, but exercising will automatically increase the number of calories your burn throughout the week. Stand: If you work at a desk all day, set reminders to get up and get moving every hour. Long periods of sitting can cause you to gain weight as you will burn less calories. Calories matter: An excess of calories can cause weight gain, but skipping meals won’t exactly do the opposite as your metabolism will actually slow down. In order to maintain a healthy weight and metabolism it is best to find a sweet spot and consume the number of calories your body burns throughout the day at your resting metabolic rate. 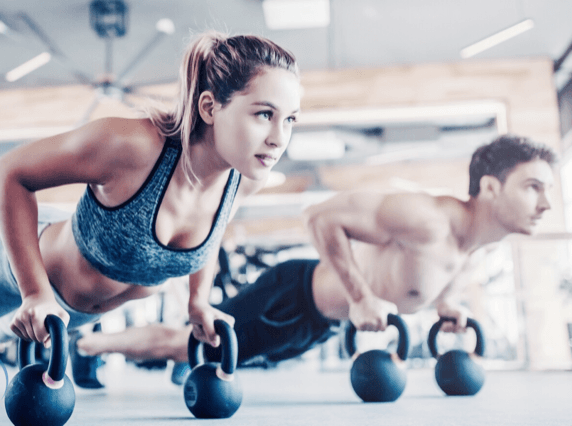 Lift: Lifting weights heavy enough that you feel challenged can help keep your metabolism in check as your body will naturally continue to burn calories long after your gym session is over. Interval Training: Cardio person? Implementing short bursts of power into your routine can help your metabolism as this will cause your body to work harder to burn energy. Sleep enough: Getting a good night’s’ sleep is vital to maintaining a healthy metabolism. Sleep regulates the body’s hormones, and a lack of sleep can boost the hunger hormone ghrelin. Eat Enough Protein: Eating enough protein at every meal can help you stay fuller longer, making you less prone to overeating throughout the day.